My friends (from my former job) and I used to eat in hotpot or “shabu-shabu” restaurants in Manila usually when someone is celebrating a birthday or a send-off party when one is transferred to another beat. Those times were one of the fun moments I had while covering the health beat. Most of my friends then were single and you might just guess what our favorite topics of discussion would be (while savoring the hot shabu-shabu), reporter bashing (aminin :D), non-functioning official (tamad na opisyal), cute reporter (meron ba? Bading. hehe), free dating online? Hmm. Pwede. 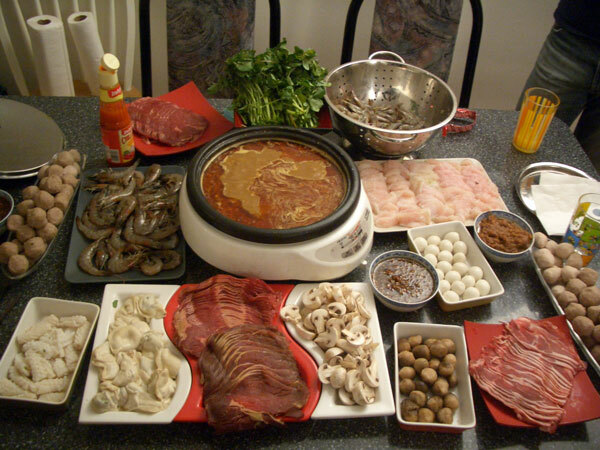 This entry was posted in Comfort Food, Favorite Food and tagged hotpot, shabu-shabu, Tong Yang on March 6, 2011 by Yami. thanks nga pala for following my food blog .. Open kba sa exchange link gusto ko sana makipag xlink s mga food blogs. Thanks ulit. Great foods plus good friends around, you must spent your day very well. Visiting here through Bloggers Exchange. Do you mind if you also visit me here.